My first shop-built vise was great. Or so I thought. 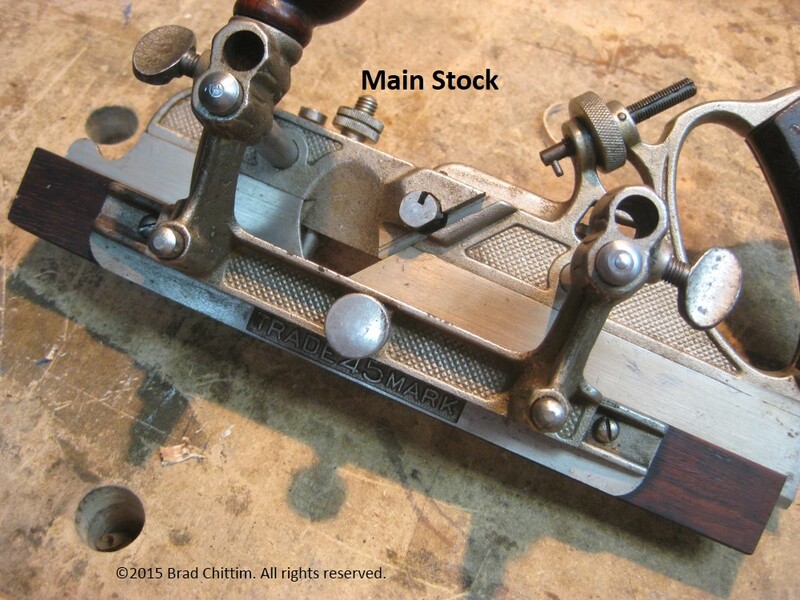 But after a few years of sharpening saws, its deficiencies became annoyances. See how my 28” Disston protrudes to the left? That translates into moving the saw two times for each sharpening. (This puppy is filed rip. For a XC configuration I’d have to move it four times.) That meant a process of clamping, unclamping, clamping, unclamping, clamping and unclamping. What a pain. Still, I never seemed to get around to building a better one. 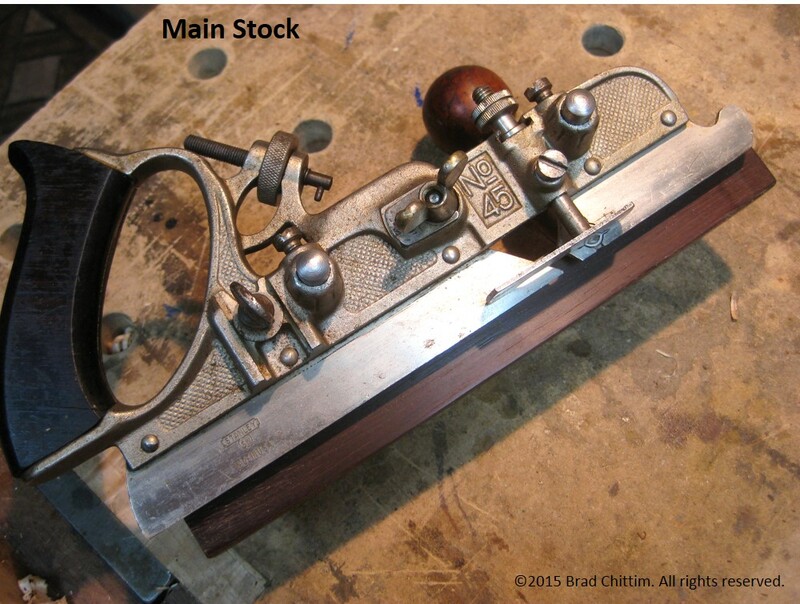 Then one day, I plopped down $6.00 for a 26”, 9 tpi Simmonds handsaw in need of some serious jointing. So facing a heap of sharpening, I decided to build a vise adapted to my needs. Here’s a model that caught my eye. My apologies to the Lumberjock who built it because I can’t find the pic again to attribute it to them. 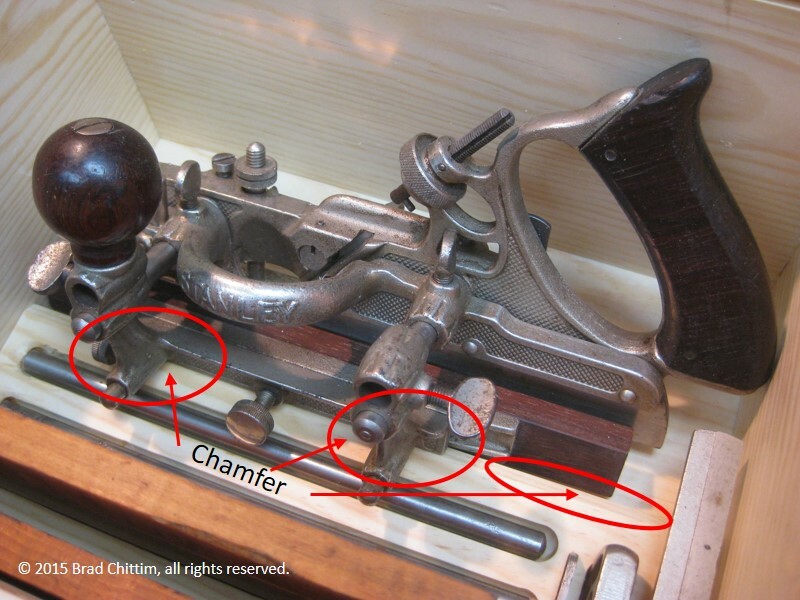 The Renaissance Woodworker built a similar vise in this video. From his build I tweaked my design to be 29” wide, include 2” metal hinges on the bottom, and add suede leather to line the jaws. After many uses, I’ve come to love the performance I get from this vise. It accommodates all the saws in my till—from the 28” monsters to a dovetail saw—for clamp-it-once sharpening (rip, and -twice for XC.) 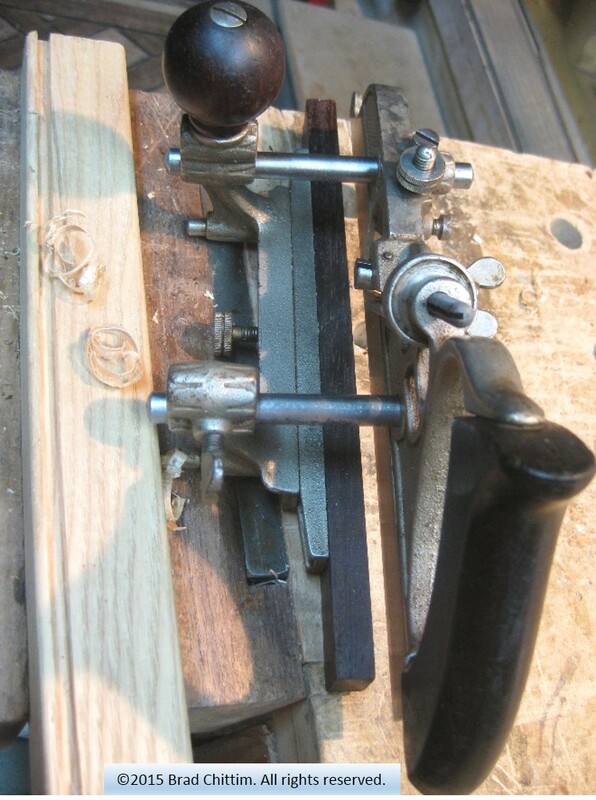 I just seat the saw vise in my bench’s face vise, put in the saw and clamp it all down. 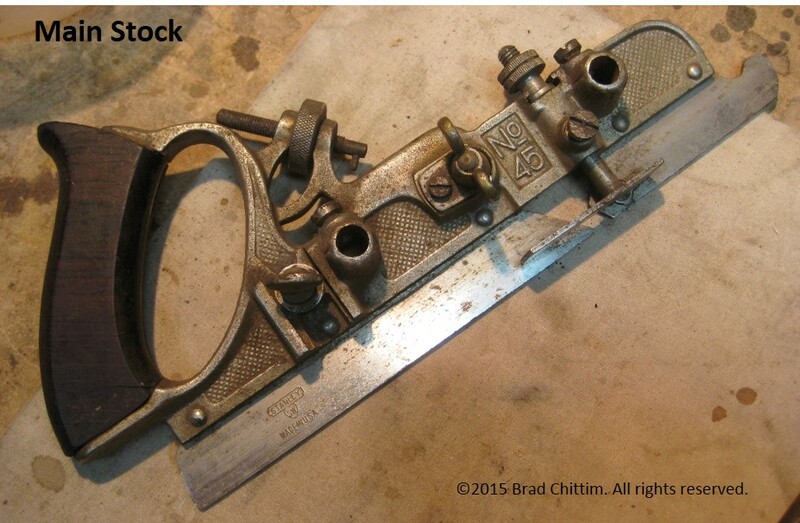 The leather-lined jaws serve both to boost the gripping power of the vise as well as to dampen vibration. © 2016, Brad Chittim, all rights reserved. She had a point. This is what the space looked like on a good day. 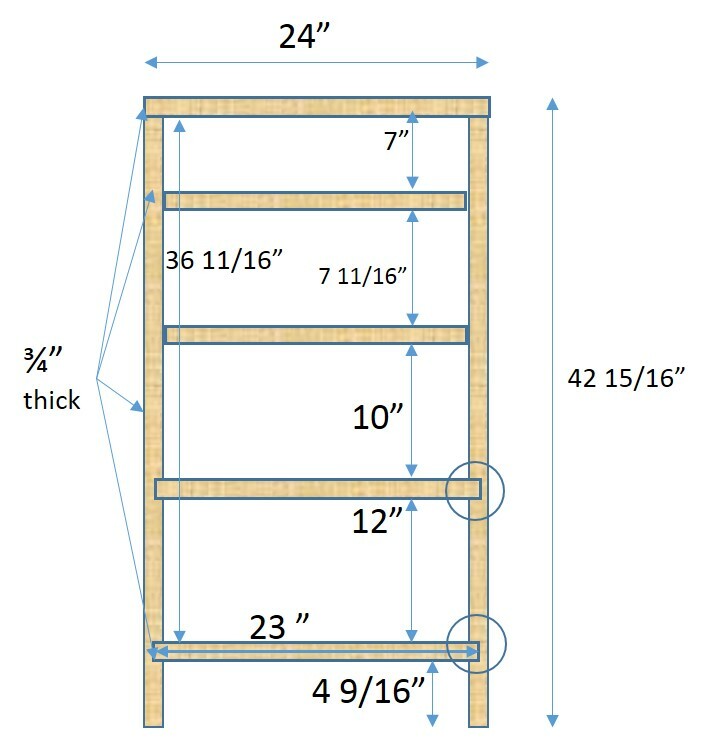 But, because I’d never built a piece of furniture before, I procrastinated. I came up with a design, scoured my books for joinery options, carcass-building methods and other basic furniture trade knowledge to complete my assignment. My criterion were simple: the pantry had to match the adjacent buffet in look, feel and color. Apparently that’s pretty important to chicks. 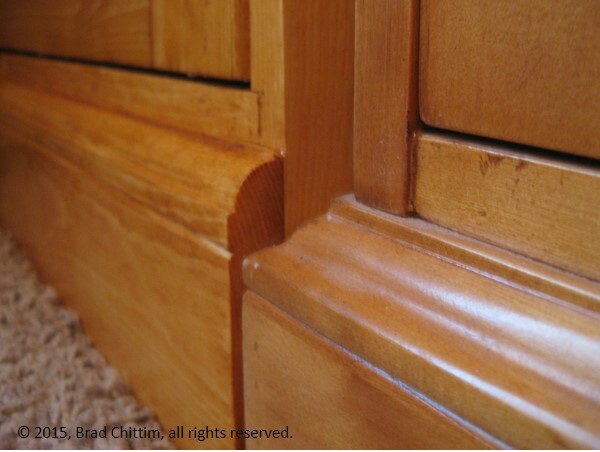 In practice that meant having the piece sit about the same height, use frame-and-panel door construction and imitate the floorboard and moulding on the buffet. It also meant using pine panels from a big-box store because their cost was in line with what we were willing to lay out. The construction was straight forward. 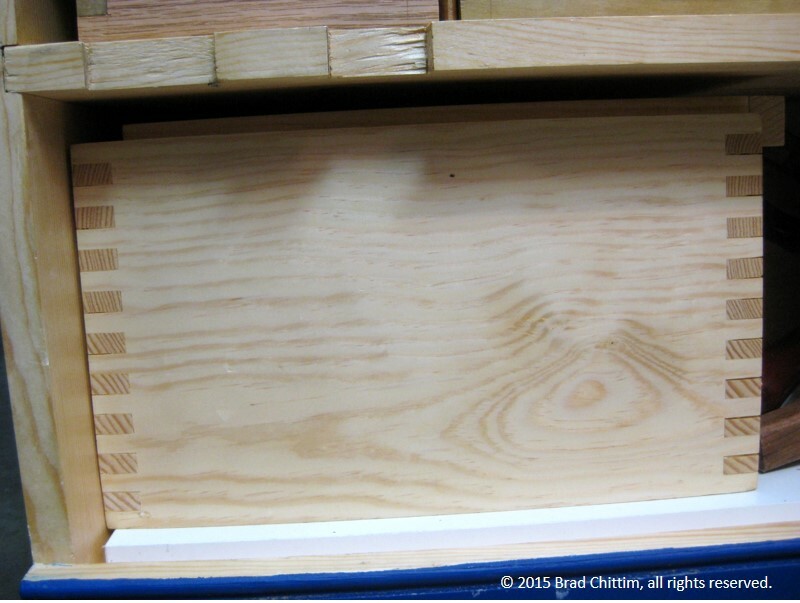 The bottom shelf joined to the sides via through dados and the middle shelf joined with a stopped dado. 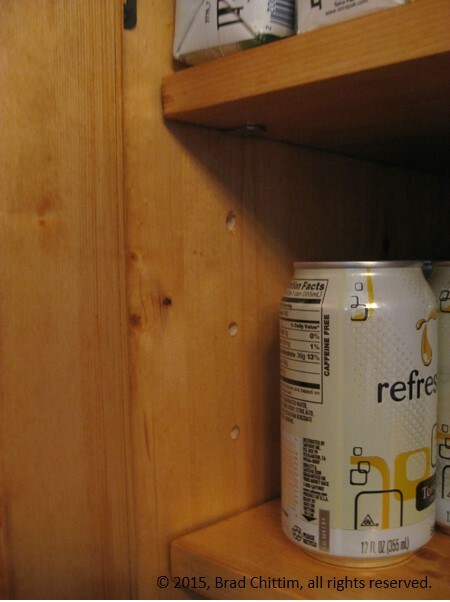 The two top-level shelves sit on shelf pins in holes drilled 2” apart via a template I created. 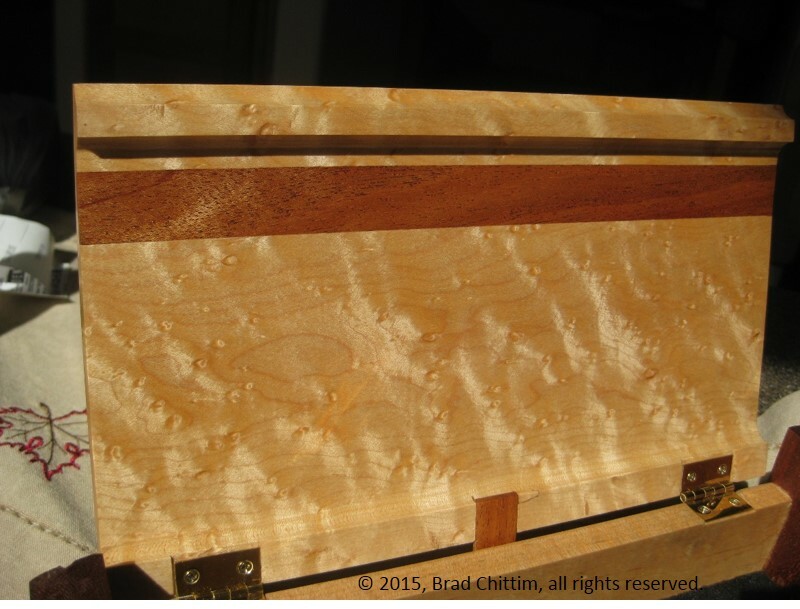 A ¼” plywood back slides into grooves routed into the top and sides. The grooves are stopped on the side bottoms to hold the back in place. 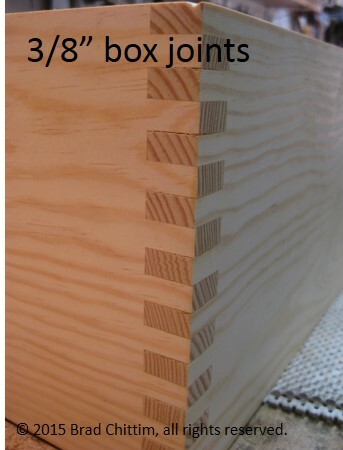 The top is affixed to the carcass using ¾” x ¾” maple strips. 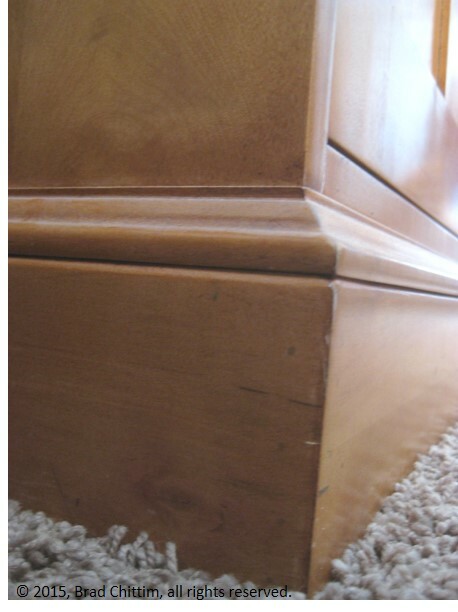 I took measurements of the adjacent buffet’s baseboard moulding. 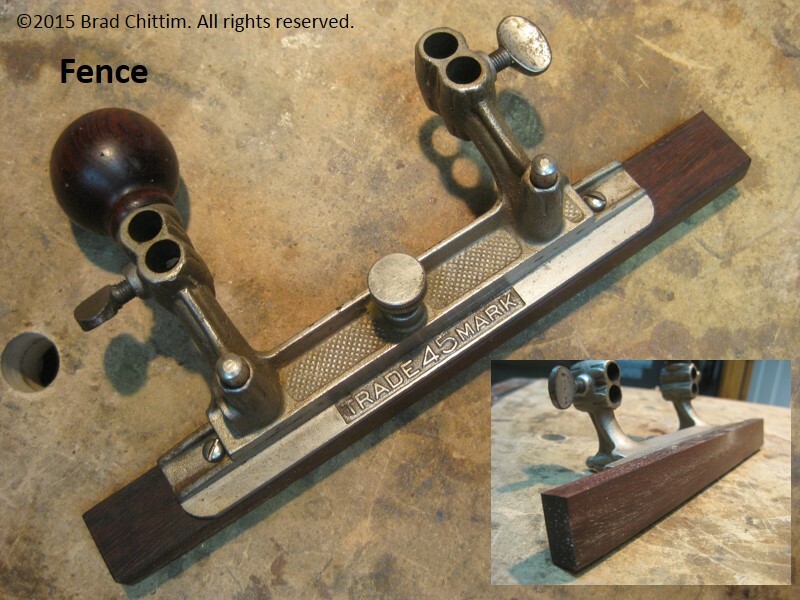 However my attempts failed to mimic it using my inventory of moulding and rabbet planes. So instead, I used a roundover bit to create a similar profile. 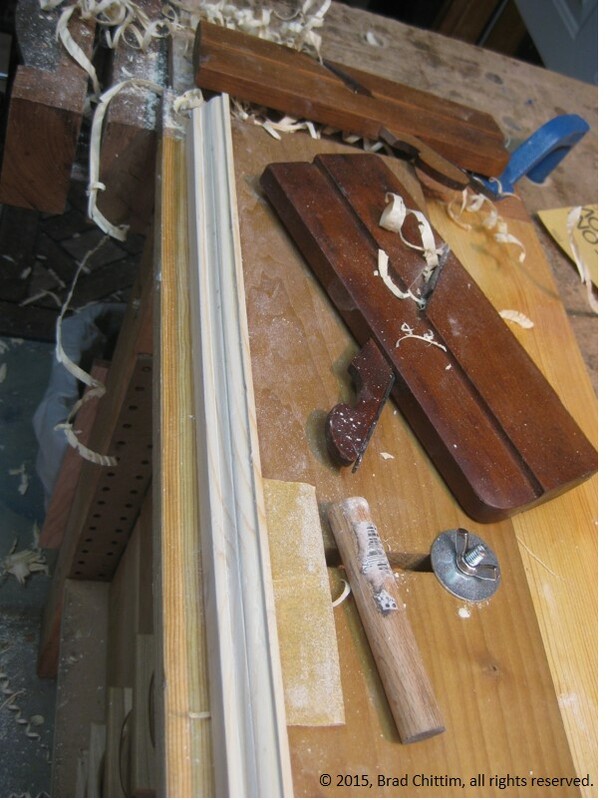 The top of the baseboard piece was rounded over and the bottom of the moulding piece was chamfered. 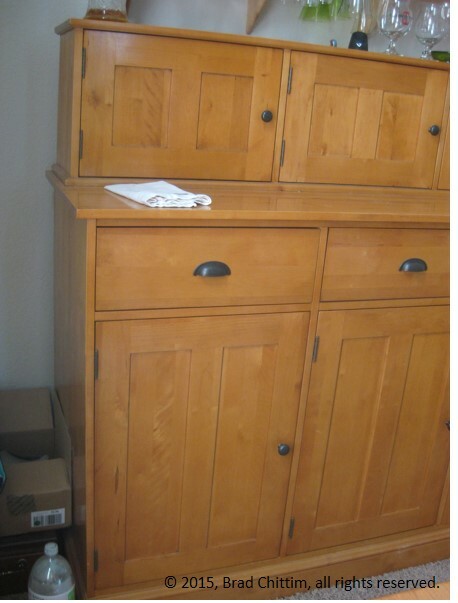 Much to my surprise, Traditional Pecan stain provided the closest color match to the existing buffet. Two coats of spar urethane provide the semi-gloss sheen of its neighbor. 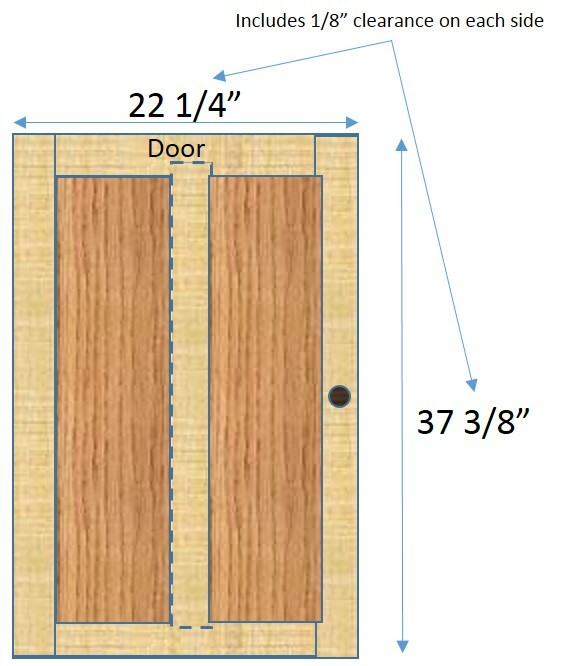 To make the door installation easy peasy, I cut a guide template ¼” thick, as wide as the thickness of the door (3/4”) and as long as the door. From there I chose to mount the outer edges of the hinges 2 1/2” from each end, then held each hinge in place to mark the placement of all of the screws with an awl and drill pilot holes. 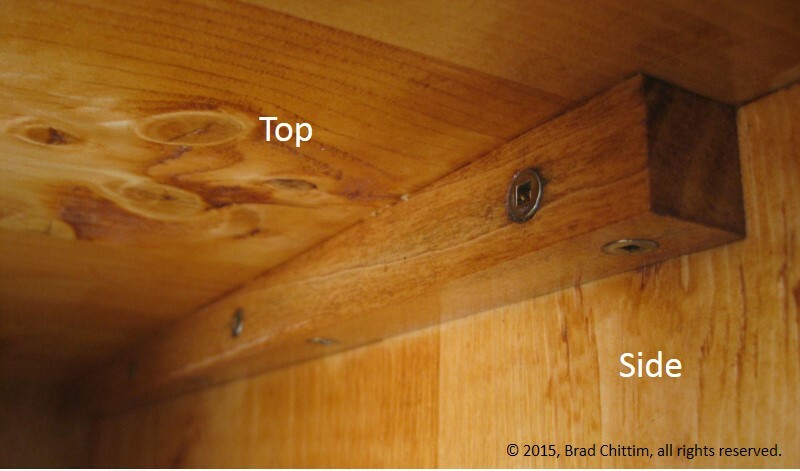 With the guide clamped to the door edge, it was a simple matter of drilling through the template pilot holes for the “door-edge” hinge holes. 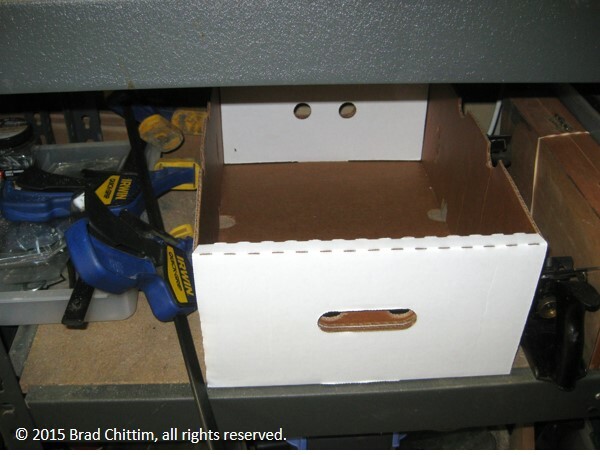 Next, I placed a spacer between the guide and inside top of the cabinet to allow for clearance and clamped it to the inside edge of the carcass, flush with the side. Then I drilled the pilot holes for the “cabinet-side” of the hinges. This approach perfectly aligned everything. At this point, it was ready to be used. 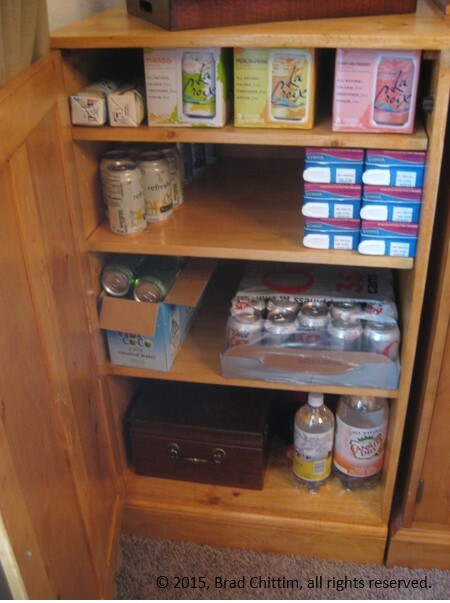 Once the finish dried, I muscled the pantry into its new home and set about the pleasant task of stocking it. And today, whenever my lady walks past the tidy space, she smiles. 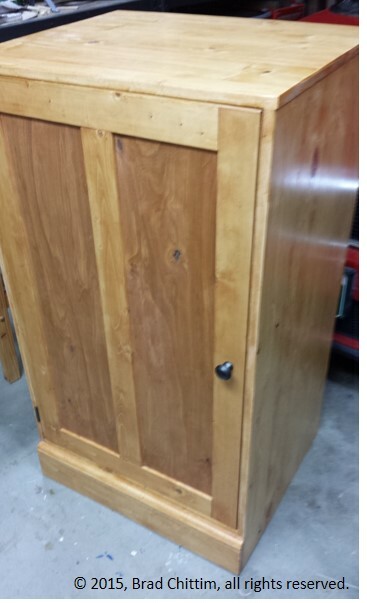 She got an organized space and I got new woodworking skills. 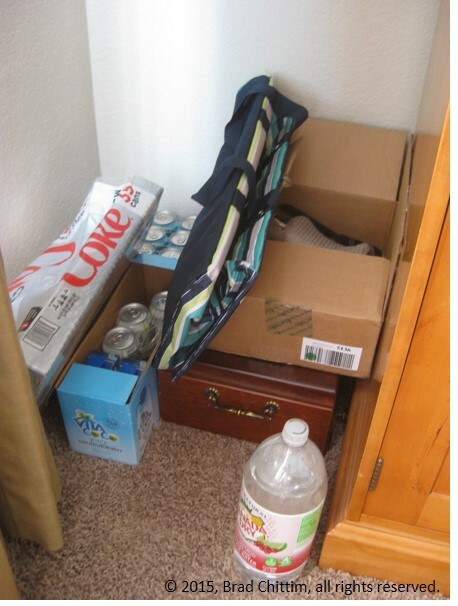 And I worried that all the parts, accessories and accoutrements could easily get misplaced or damaged. So clearly, a box was needed to house everything. 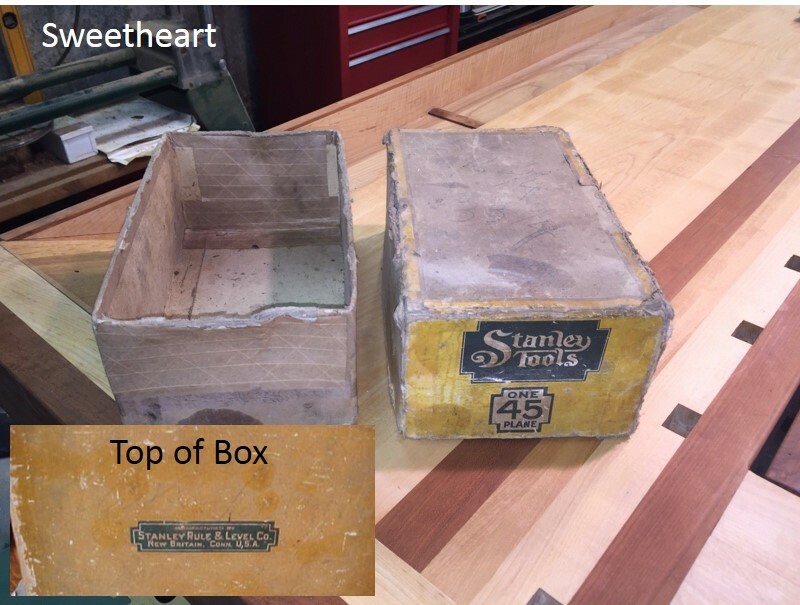 I wanted to approximate the box design that the early Sweetheart #45s used. So I settled on the graphics from the image of a Sweetheart #45 cardboard box that I found on eBay. 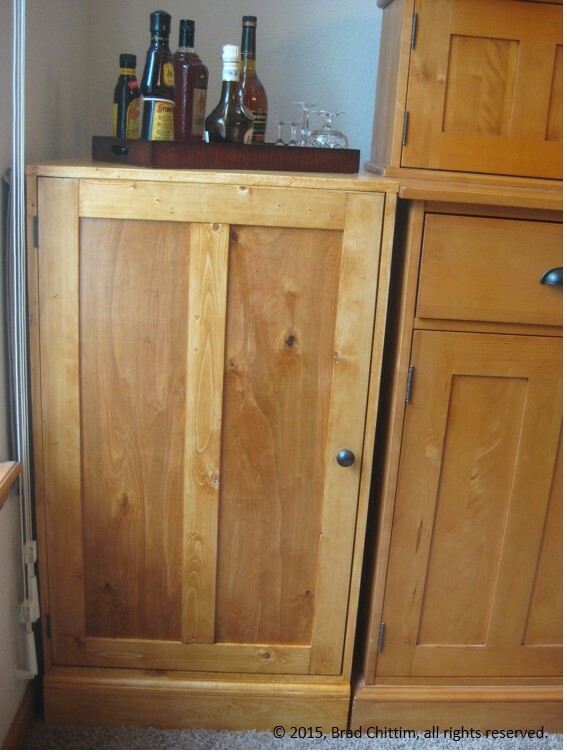 The heavy plane and accessories called for sturdy material, in this case big-box-store pine ¾” thick for the top, bottom and sides. 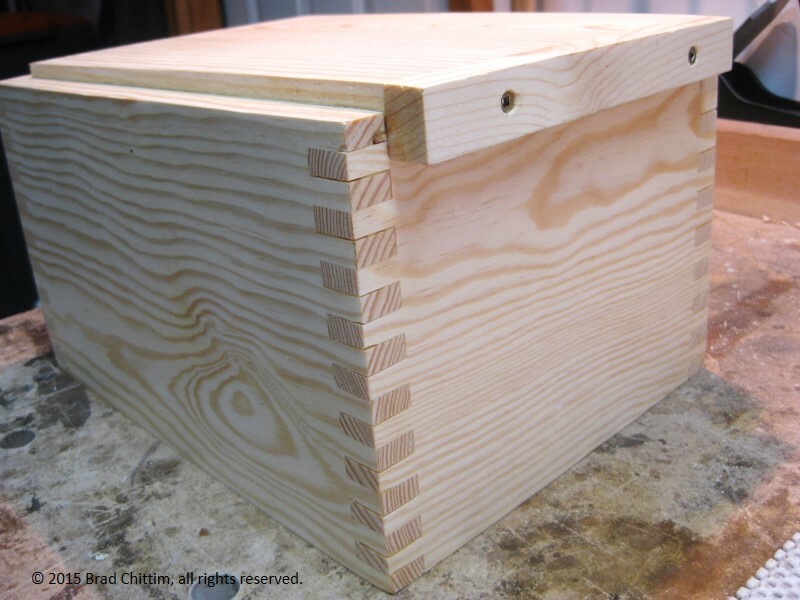 For joinery, I chose to mirror earlier-era Stanley boxes, and settled on 3/8” box joints. They came out nicely. 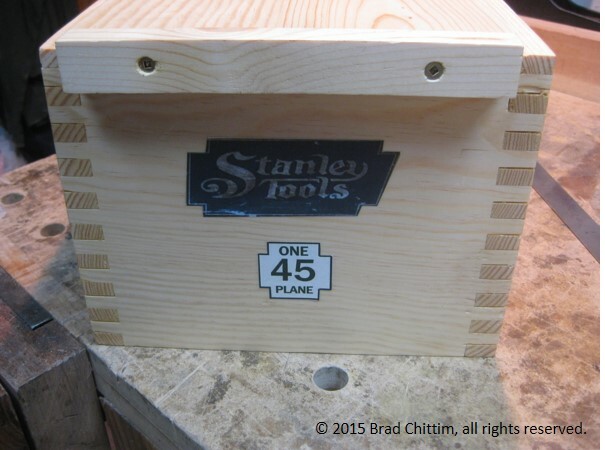 As to dimensions, I wanted the box to accommodate neatly housed accessories and the plane. 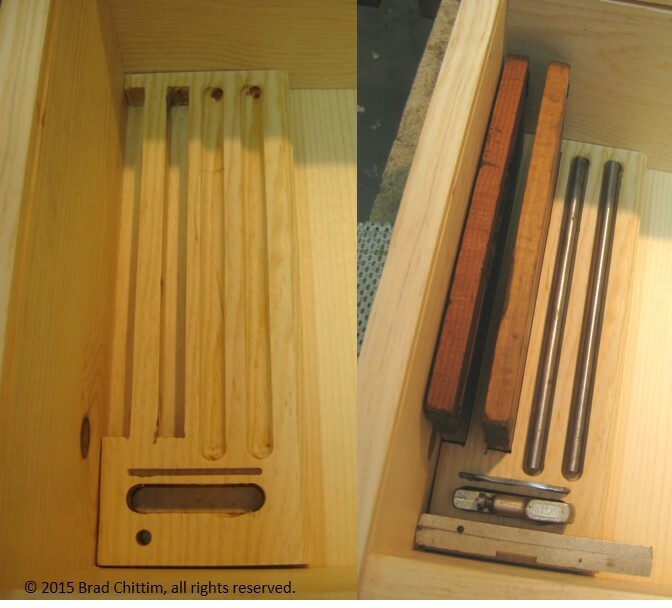 And because I wanted a traveling plow/beading plane, it had to fit in the lower compartment of my Dutch tool chest. That led to interior dimensions of: 10 7/8” L x 7 7/8” W x 6 3/8” H and exterior dimensions of: 12 3/8” L x 9 ¼” W x 7 1/8” H. These numbers make for a snug, but organized, fit. 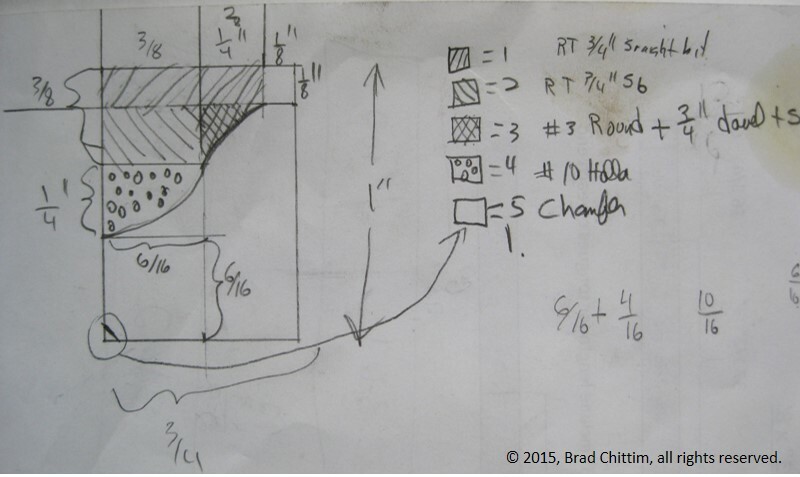 If I had it to do over, I’d increase the dimensions to accommodate ¼” more interior length. I started with the accessory docking board by building a prototype. This allowed me to finalize slot dimensions as well as to practice routing grooves and coves without blowing the piece apart. A chamfer on the top edge of the docking platform better supports the seated plane. 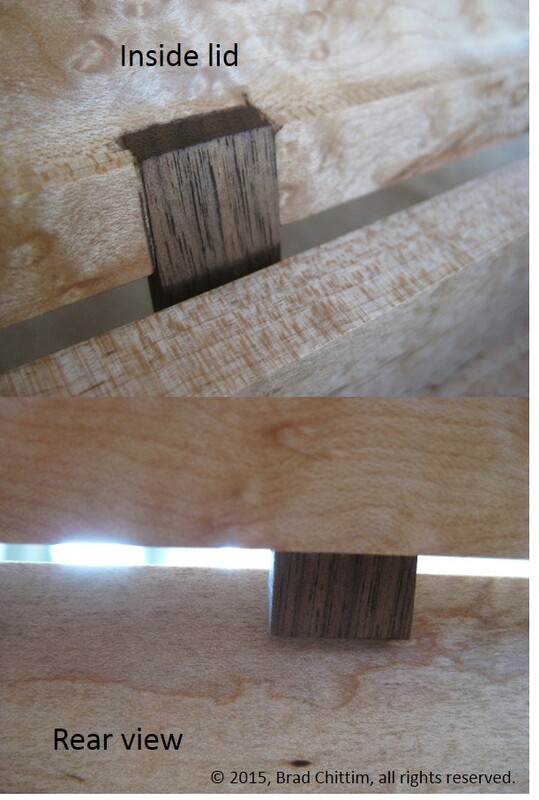 After using my Rockler jig to cut the joints, I routed a ¼” groove for the bottom and a 1/8” groove for the sliding top. I’m kicking myself for not using the 45 for this, but I cut the grooves instinctually out of habit before I realized what I’d done! After that, I rabbeted the bottom to fit the grooves and glued up the box. Finally, I rabbeted the sliding top’s three edges to fit in the 1/8” groove. Were I to do this over, I would use a ¼” tongue because 1/8” is just too fragile. 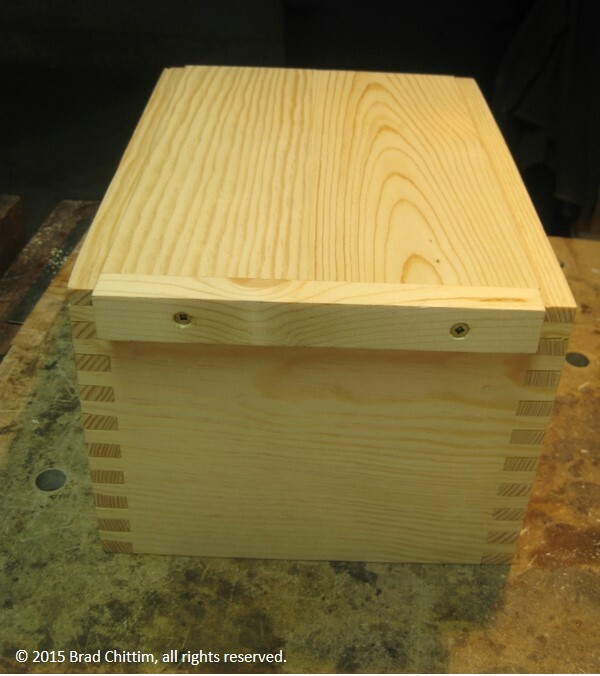 To finish the lid, I added a section of pine to serve as a handhold. The next step was to confirm that everything fit correctly (accessories and plane) into the docking station, then screw it to the box interior from the bottom. At this point, the assembled box was ready for some graphics. My choice of graphics favored coolness (to me) over accuracy. For the refinished cutter boxes, I downloaded graphics from a fellow Lumberjock. 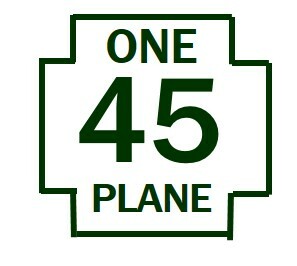 Then I drafted the top-box decal in PowerPoint as well as the “One 45 Plane” graphic that goes underneath the “Stanley Tools” decal. 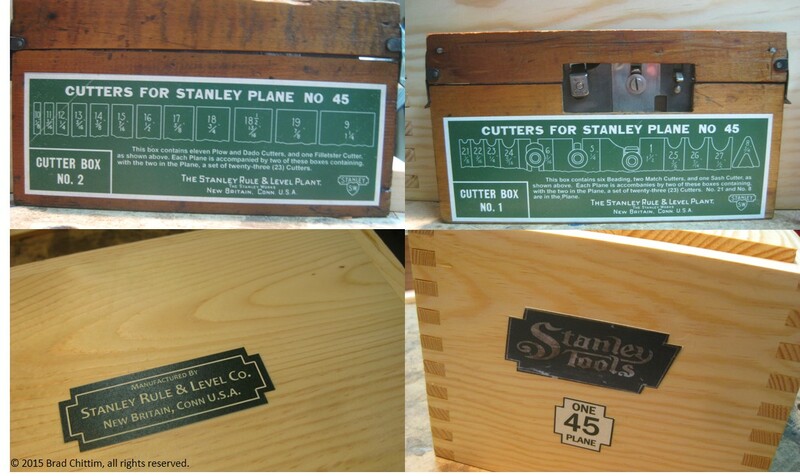 I couldn’t find a comparable font to draft my own “Stanley Tools” graphic so I cropped the one in the box image. Then I inserted all the graphics into a Word document, printed them out and tweaked the image sizes until they looked “about right.” These I printed on full-page mailing labels using my brother’s fancy, schmancy HP Laser color printer. Then, to protect the decals, I applied three coats of Mod Podge Gloss Clear Acrylic Sealer. Next I peeled off the backing and affixed each decal to the box. To fix them in place and further protect them, I applied two coats of poly over the decals and box exterior. 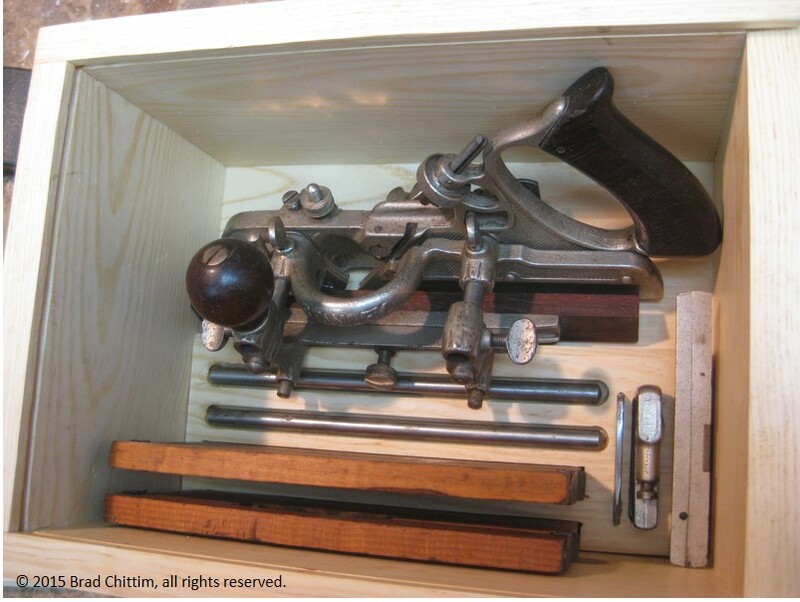 What a relief to find that my measurements were spot on and that the box fit neatly into the tool chest. And that box is infinitely cooler than the cardboard home that it replaces. 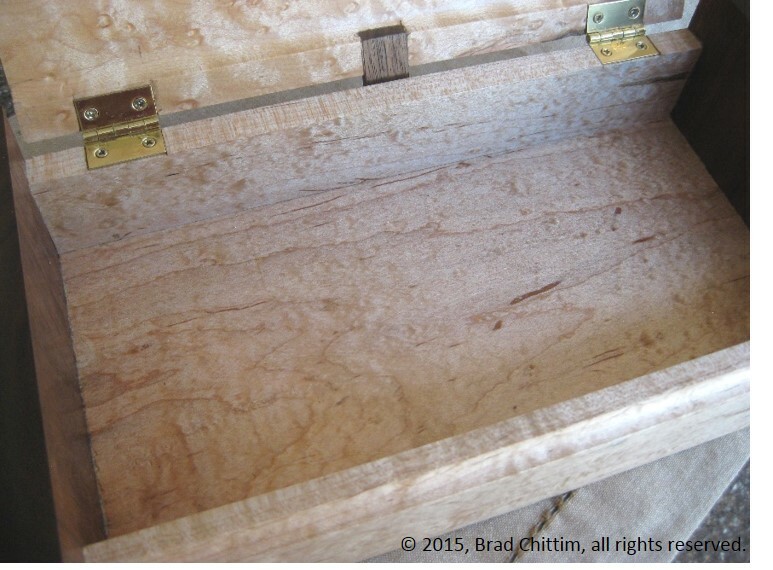 This project completes the outfitting of the chest. It’s ready to travel afar for use on projects as yet unimagined. An eBay foray delivered a Sweetheart model to my door for $158.35 shipped. Add to that some missing parts. I’m just OCD enough to have to replace them. An exercise that set me back an additional $57.68. 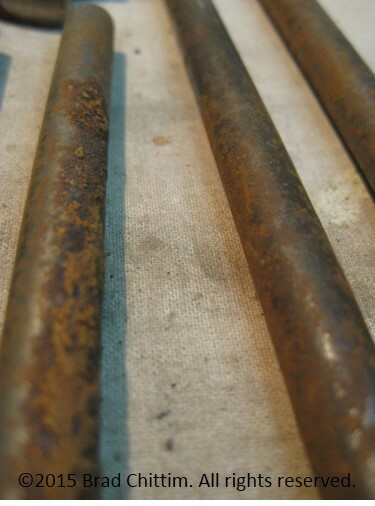 A little wire brush here, a little sandpaper there and the surfaces were free of rust. After sharpening the 3/16” plow and dado cutter I tried my hand at making a groove. Oh my. That was much more fun than I anticipated! And now that my SW #45 is open for business, it’s time to put it…uh…let’s see. That drawer is full. So is that one. I have this plane body, fence, sliding section, two boxes of cutters and a whole bunch of accessories…and no place to put them. Time to build a box. 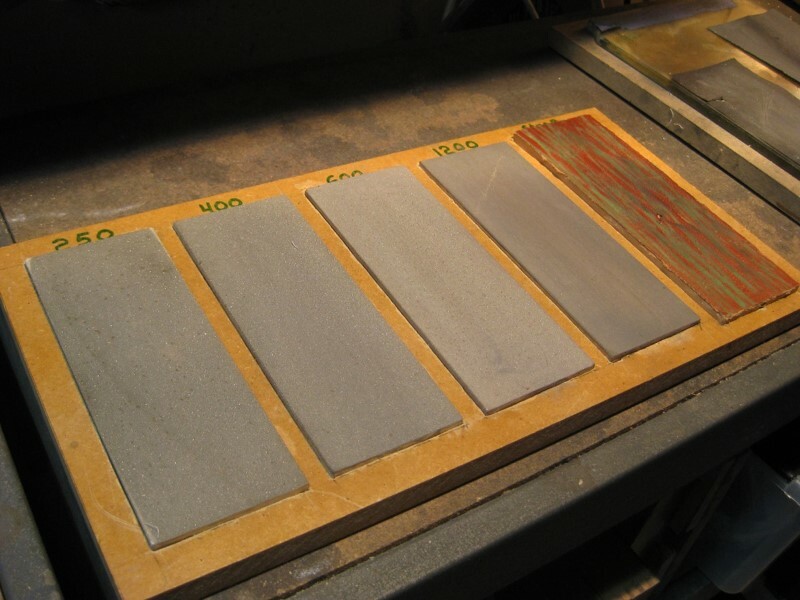 When I first got into woodworking, I bought some Norton water stones. They were messy, required constant flattening and I never did get good results with them. So I went with the Scary Sharp (SS) method. And very quickly, I got consistent, shave-hair-off-my-arm results. It’s true that SS isn’t as messy as the water stones. But, over time, it is more expensive to feed the sandpaper beast. 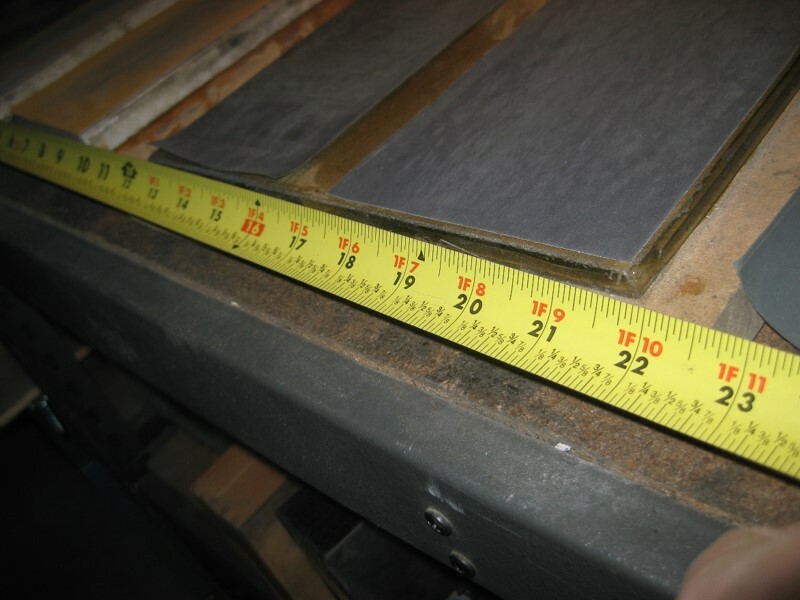 Sandpaper on substrate doesn’t hold up well, tearing easily and requiring frequent replacement. So after watching Paul Sellers’ How to sharpen chisels using diamond stones, I decided to switch to a cheaper—over time—sharpening system. Besides saving money, I figured it would help me accomplish two more goals. 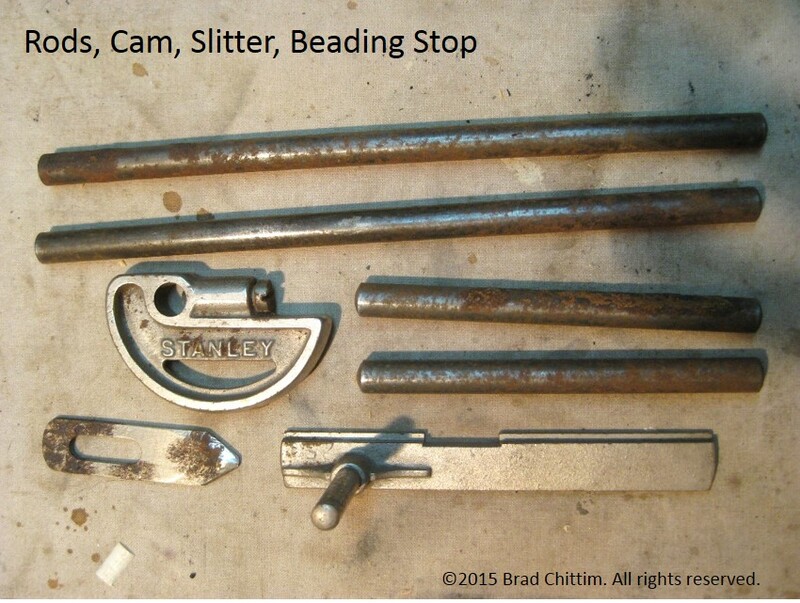 Goal #1: Eliminate sharpening system clutter. Here was my messy setup. 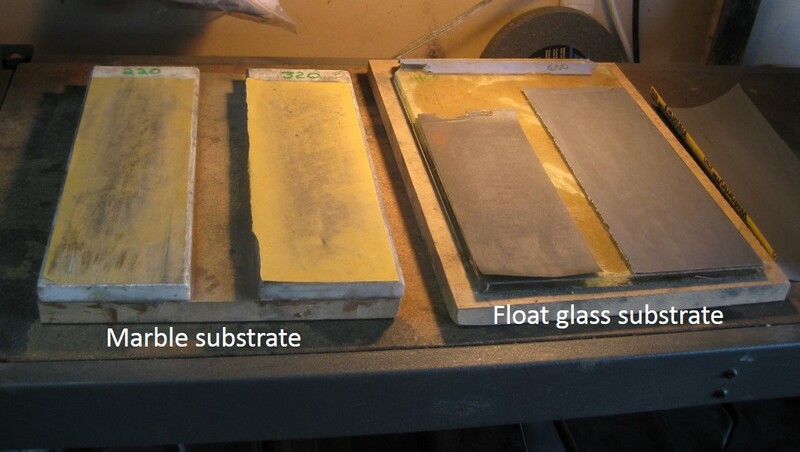 To create a more compact system I got four EZE-LAP diamond plates in 250 (81-C), 400 (81-M), 600 (81-F) and 1200 (81-SF) grits. And to keep my sharpening space tidy, I followed Seller’s lead to build a holder for the plates. I tweaked his design a bit by adding two more “spaces”—one for an additional diamond plate and one for a strop. 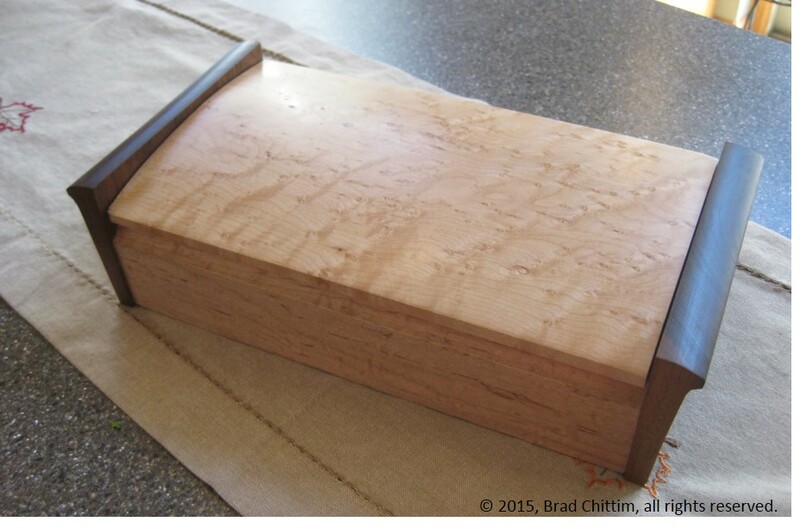 A removable pine “plate” 3” x 8” x 3/8” with epoxied leather serves as a strop. A coat of polyurethane holds out hope that the MDF surface will keep clean. Rubber bumpers on the bottom corners keep the holder fixed in use. Numbers mark the grits for ease of reference. After routing out the recesses, I used clear silicon caulking to affix the plates. 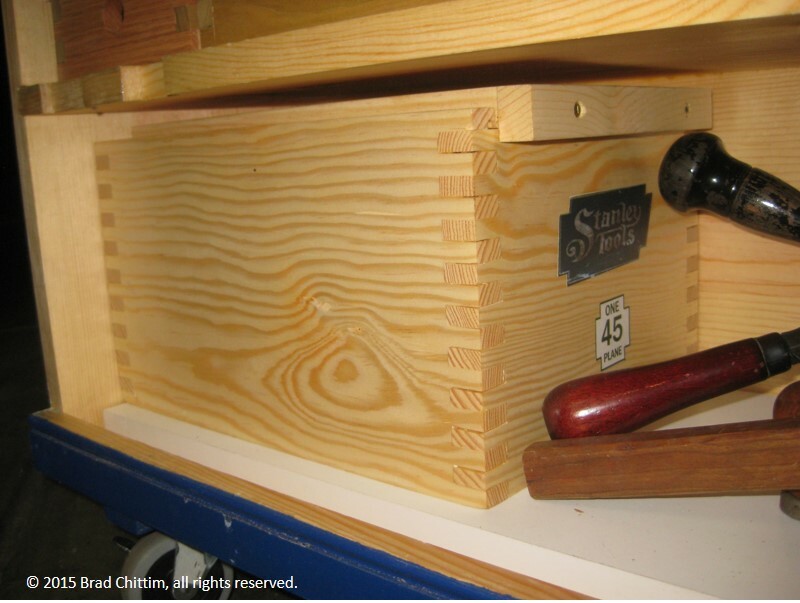 The strop recess is snug to hold the pine plate. Now while the overall linear space of my system is 3” longer than my SS setup, everything is in a compact, clutterless holder. And with the strop securely docked, I don’t waste time looking about for my hand-held model. 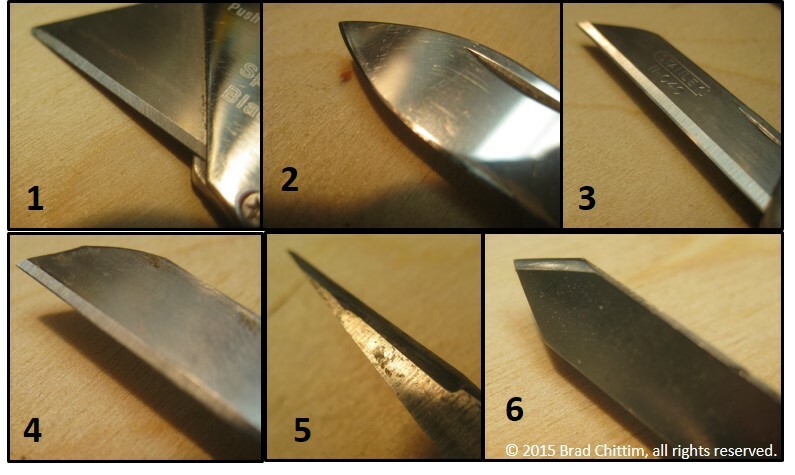 Goal #2: Reduce time spent sharpening. 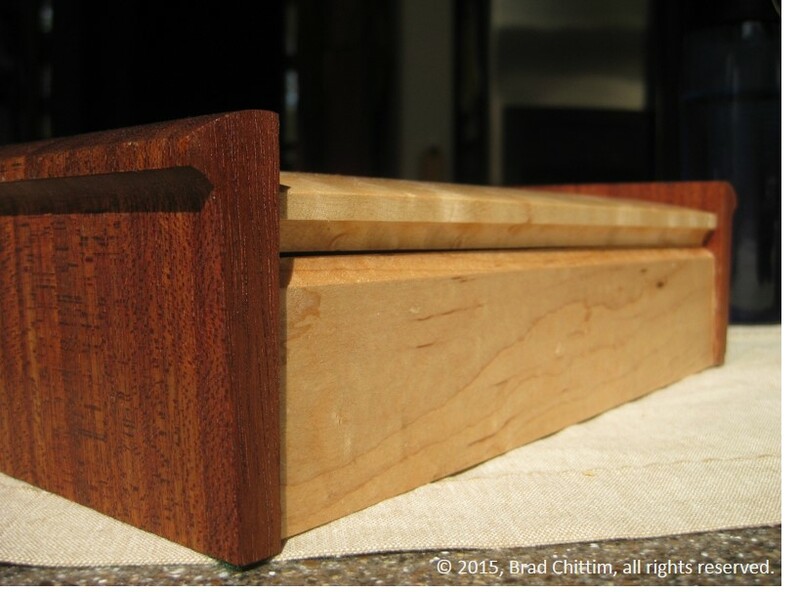 Paul advocates a freehand sharpening system. For years I obsessed about angles, jigs and microbevels. For me, all that obsessing and jig setup took a lot of time. 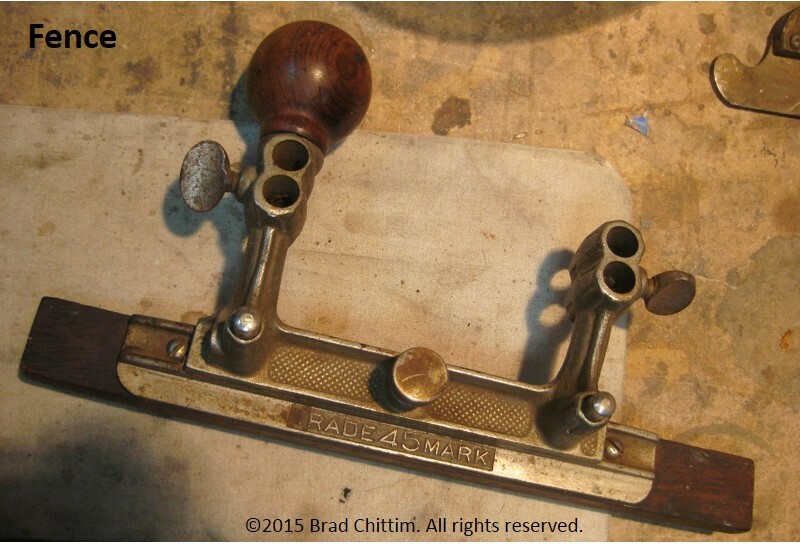 By adopting Paul’s sharpening method, I’ve significantly reduced the time I spend sharpening a chisel or plane iron. And that’s given me a few more benefits. –Bonus Benefit #1: Because it takes less time to sharpen, I do it more often and no longer view sharpening as a chore. 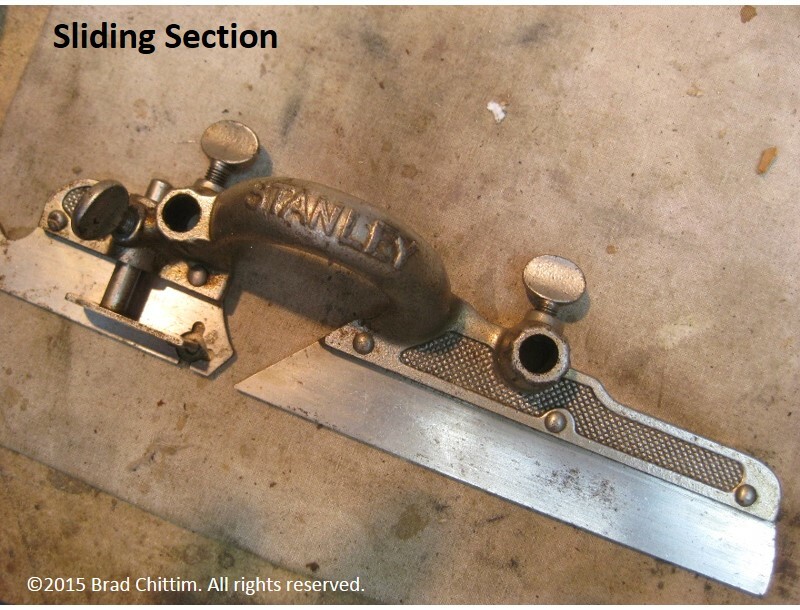 –Bonus Benefit #2: As fast as sharpening is, “touching up” a bevel is even faster. So much so that a 30 second break on the plates barely interrupts my rhythm during a project. 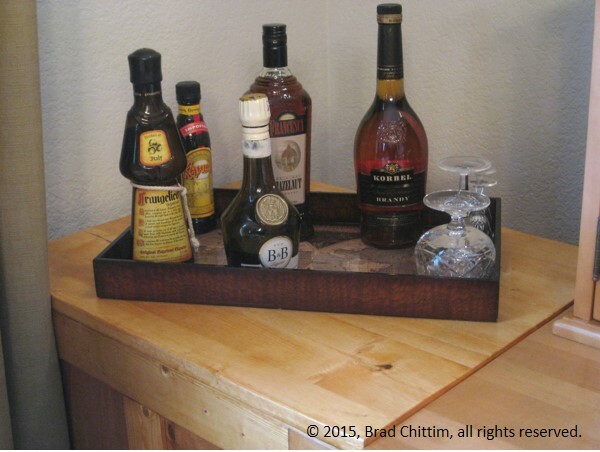 –Bonus Benefit #3: My attention has been refocused on woodworking. Sharpening is an essential skill and we all have to do it. 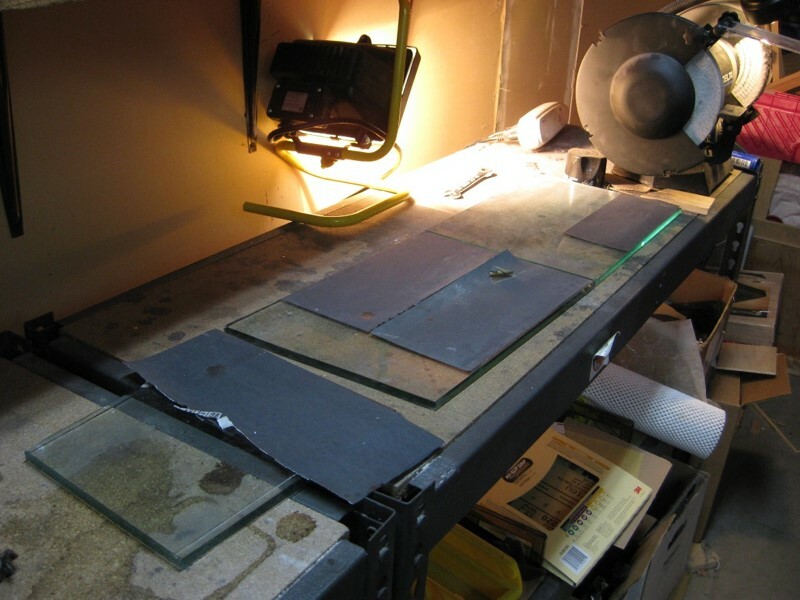 But my former methods consumed a lot of time—flattening stones, removing sandpaper, scraping off sandpaper adhesive, putting the tool in a sharpening jig and on and on. Now I have more time and mental focus to apply to my woodworking. 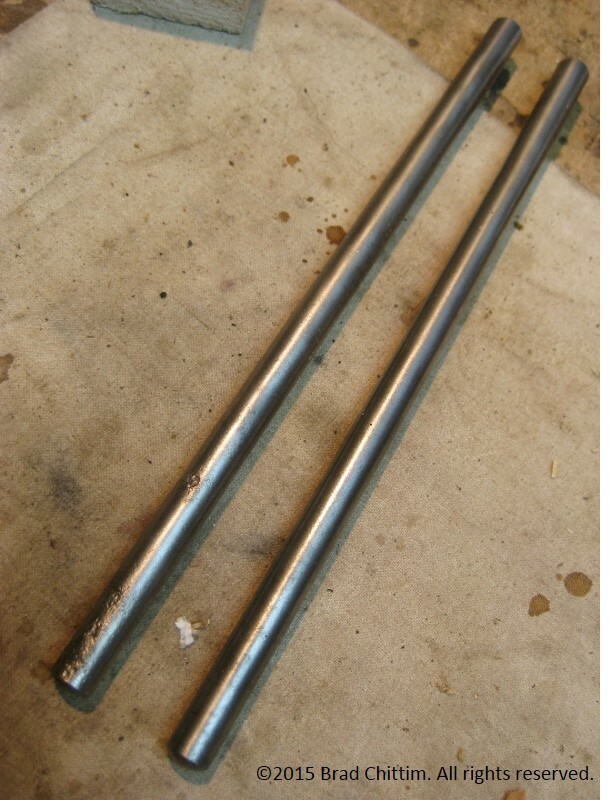 –Super-Bonus-Benefit: Sellers advocates the use of a convex bevel versus a micro bevel on chisels and irons. He argues that it’s both faster to sharpen and the edge lasts longer. My personal experience since adopting the convex bevel confirms this. For years, I was disappointed in how quickly micro-bevels dulled. So much so that I abandoned it in favor of a full-faced bevel. 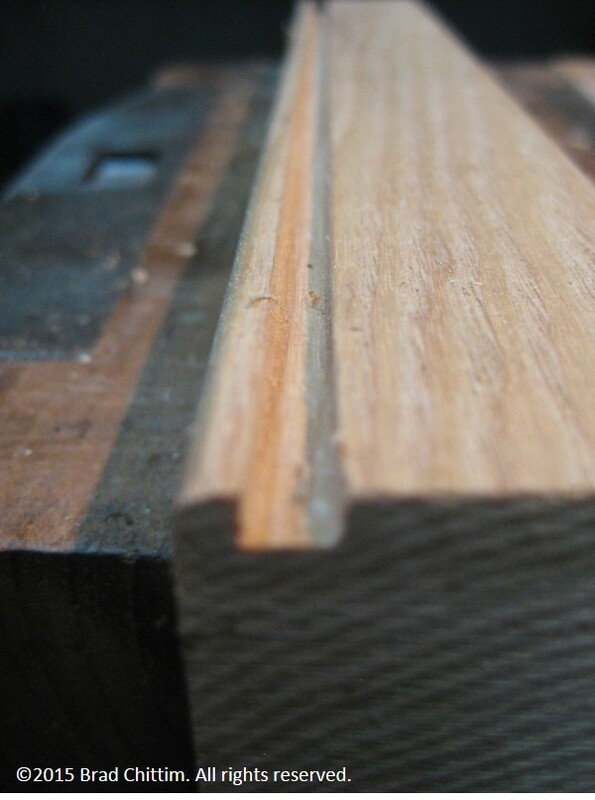 However, sharpening a full-faced bevel takes a lot of time and effort, especially if there’s a nick to take out. So I tried the convex bevel and have found that the edge lasts longer for sure. And it’s faster to create in the first place. Cheaper, faster, stronger, tidy. Just four good reasons that I like my new sharpening system. When I was new to woodworking, I didn’t see much use for marking knives. But, people whose work I admired used them regularly, so I tried them. And my joinery improved. 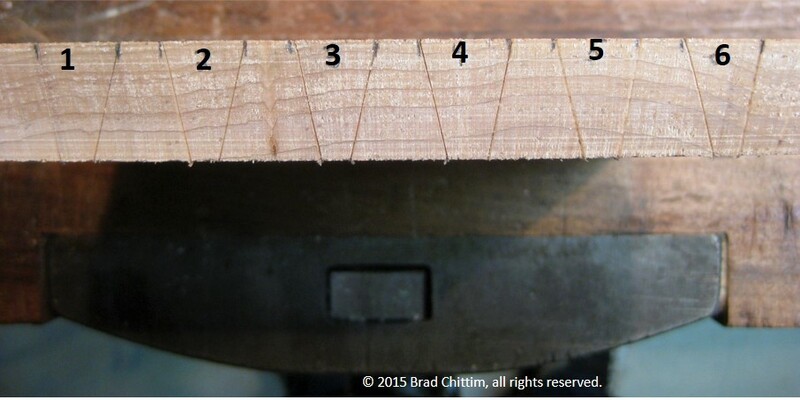 Marking knives have contributed to tighter, more accurate and better-fitting joints for me. But the $65+ price tag was more than my limited tool fund and priorities could bear. So I drafted knives lying around. And I made a couple of my own. Soon, I had six knives cluttering precious bench space. 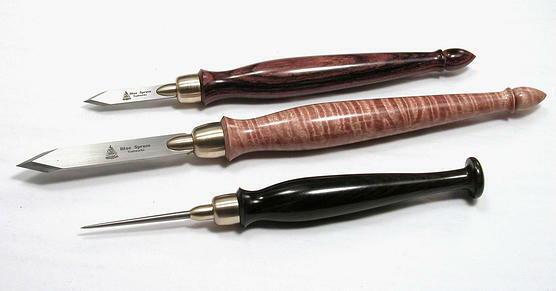 So I resolved to whittle them down to one by testing each in pine, oak and maple end grain. 3. Stanley 10-049 utility knife. Paul Sellers turned me on to this option in his post here. Well, the utility knife (1) and both my shop-made (5, 6) knives performed poorly. The remaining three (2, 3, 4) were judged on the criterion of clean, crisp and narrow gauge. Based on that, I ranked them 3, 2, 4. Round 1 goes to the Stanley utility knife. All six were competitive, but again the bottom three marks were 1, 5 and 6. Following the same criterion as above, I ranked the remaining three: 3, 4, 2. Round 2 goes to the Stanley utility knife. 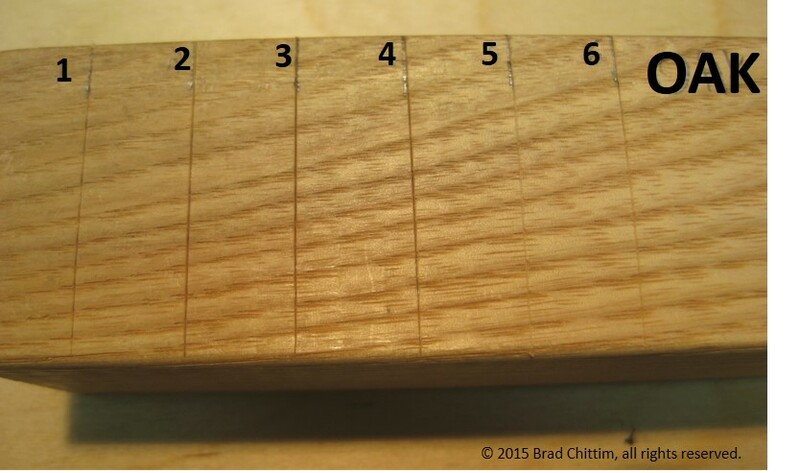 For dovetail marking, I eliminated 1 and 5. 6 did ok for one mark but not the other. 2 also did ok but the mark was not well defined nor deep. That left 3 and 4. And to mine eye, 4 made the better cut with 3 close behind. Round three goes to X-ACTO. 1. 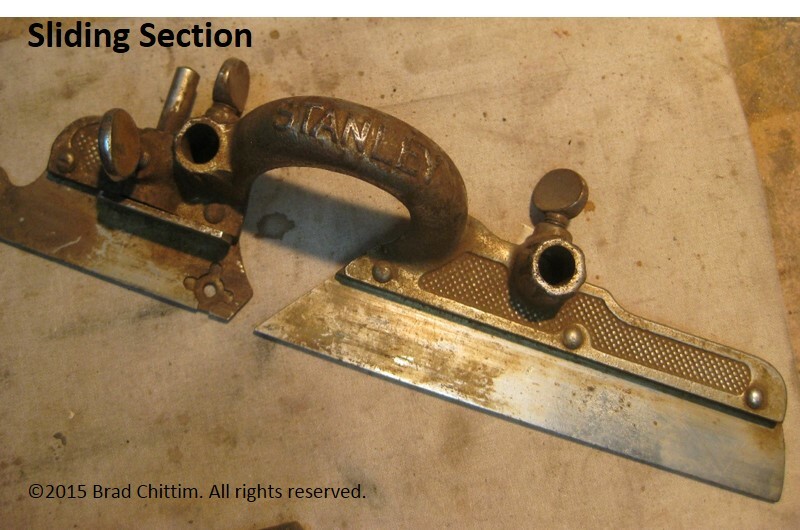 The Stanley utility knife (3.) 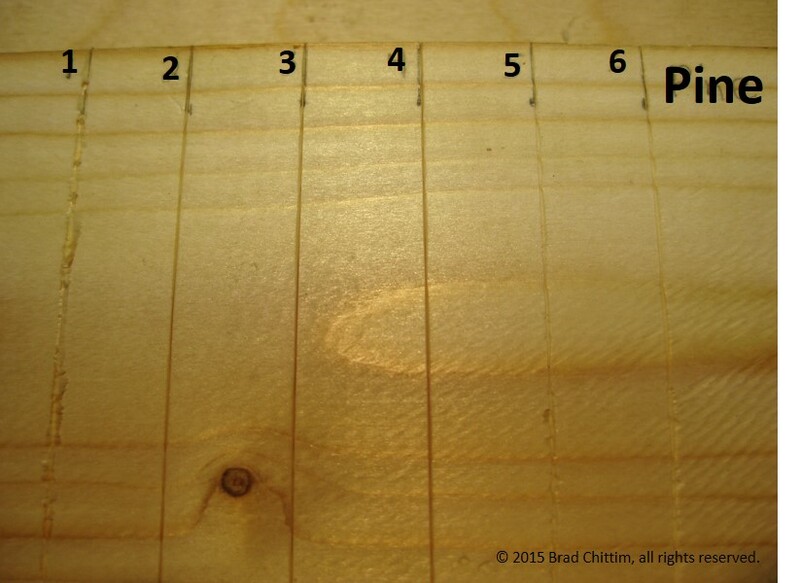 It was the best all-around and is a very reasonably priced tool suitable for marking. 2. 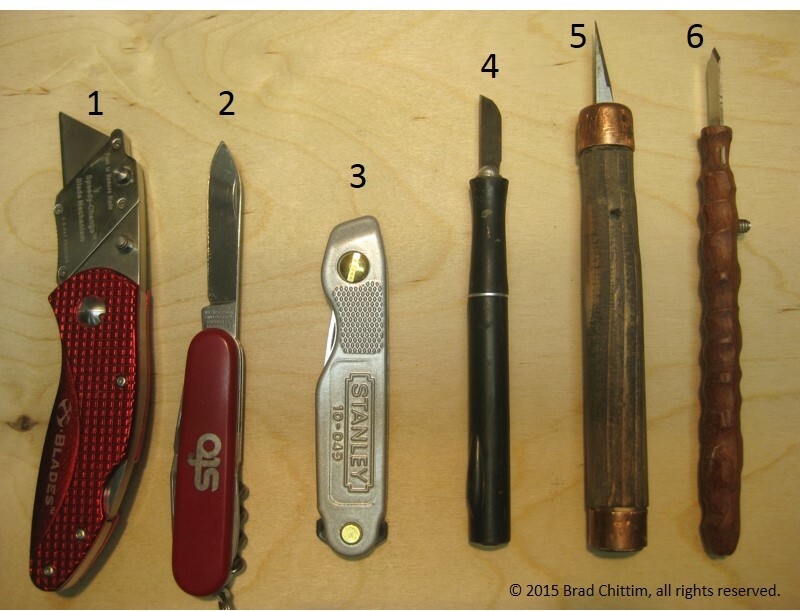 Coming in second was the X-ACTO knife (4) #24 whittling blade. 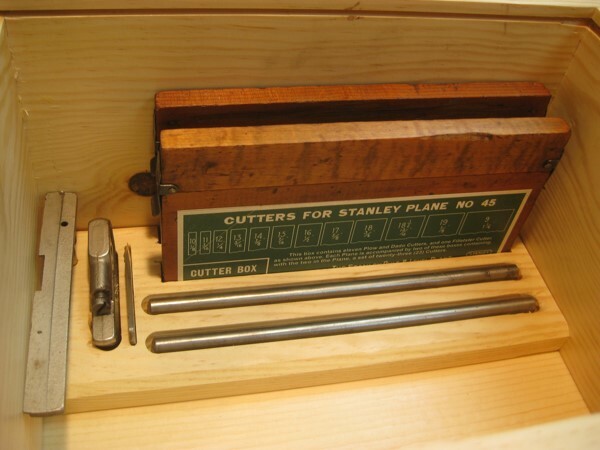 Some users may prefer the pencil-style handle versus the flat handle of the Stanley. 3. Taking the Show Position was the Swiss Army pocketknife (2.) I liked the curved blade which consistently severed the wood fibers effectively and easily. However, its large size made it cumbersome to mark tight dovetail spaces. I should note that both my homemade equivalents did poorly. That made it easy to get rid of them. I also found new places for the other marking tools. So today, my sole marking knife is the Stanley10-049 utility knife. © 2015 Brad Chittim, all rights reserved. Woodworking shows mesmerize me. But now that Norm has retired, I only have the Woodsmith Shop to entertain me. 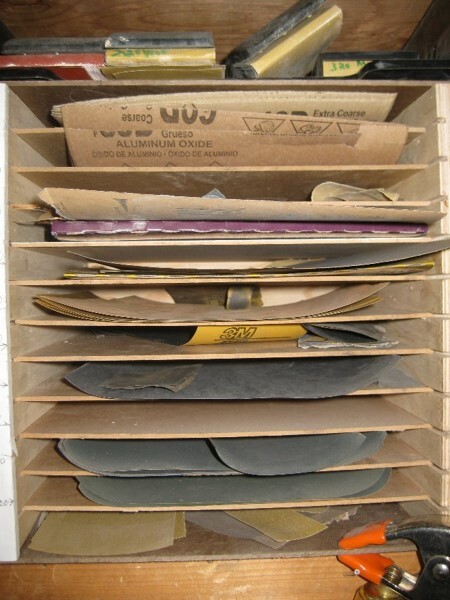 One show featured a curved lid box. 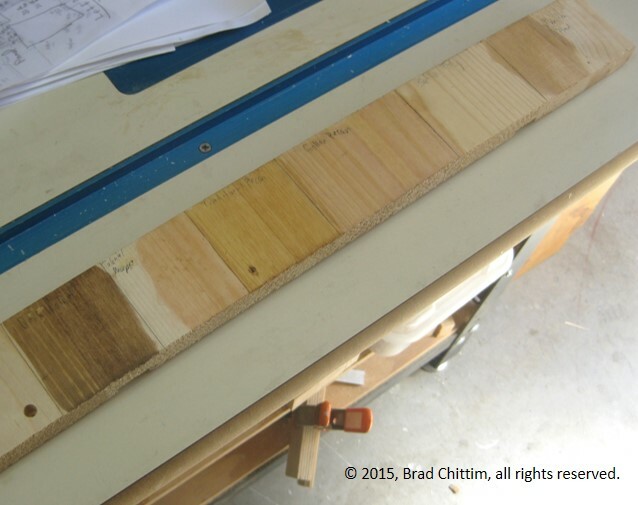 The project’s elegant lines, use of dyes and convex lid motivated me to paw through my wood pile to select contrasting species for two boxes. 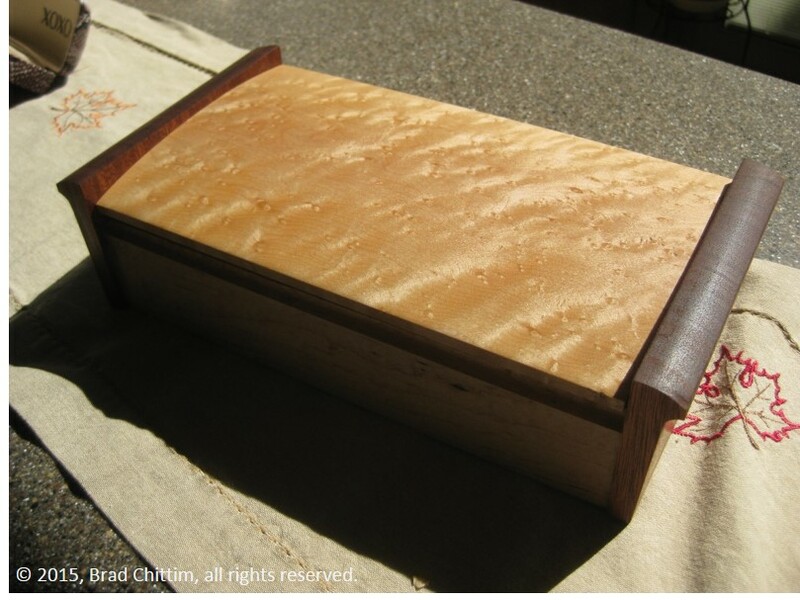 The birds-eye maple board I chose was highly figured. 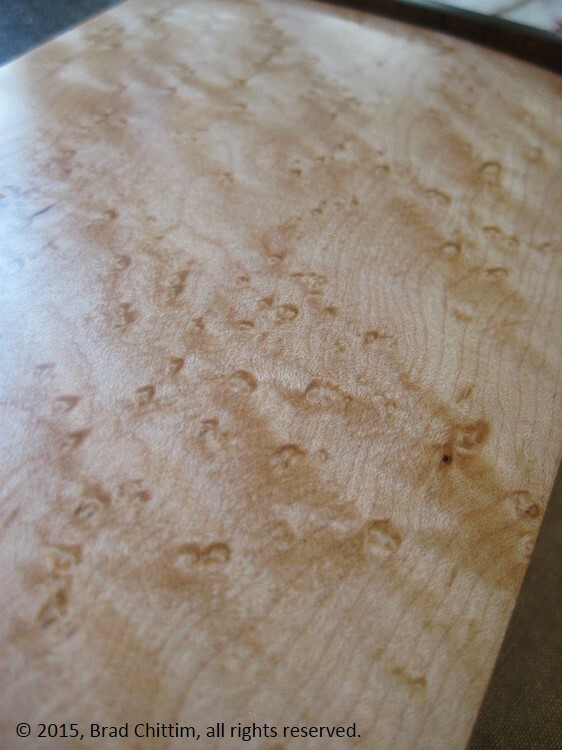 I’d never worked birds-eye maple before and experienced horrid tearout. After soliciting advice from fellow lumberjocks I put a 10 degree back bevel on the iron of a spare #4 and chamfered the iron edges before planing. That made a significant difference. The plans call for dying the maple surfaces. But after pricing the dye ($40 for two to be mixed) I decided it was much more than I wanted to shell out for this project. That’s why I went with $2.50 brass-plated hinges from the big-box store versus $37.00 specialty hinges. The cheapo hinges don’t have a built-in stop so I added one to the lid. It’s 1” wide x 7/8” long and mortised into lid. For the bottom, I decided to leave maple-bottom box #1 bare. 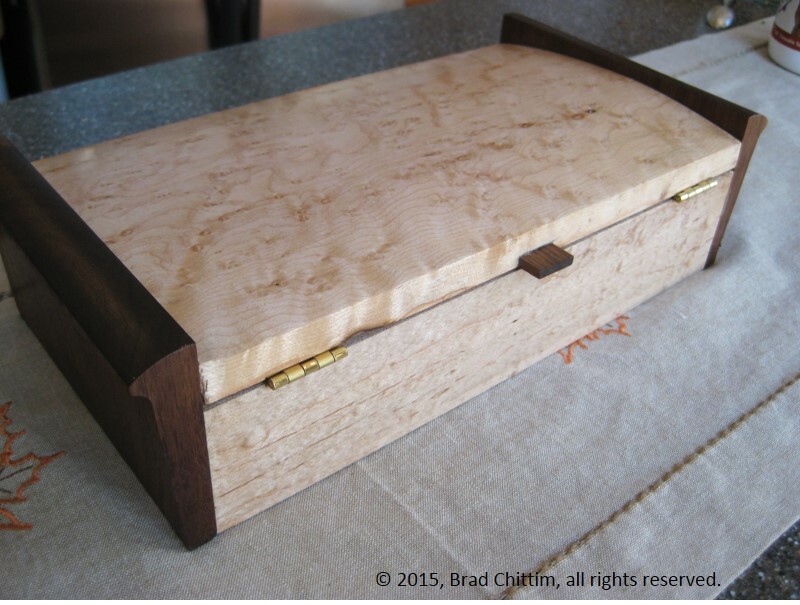 For box #2, I revised the design to take a plywood bottom and to felt that over. Like hell if I was going to cover over a beautifully-figured birds-eye maple bottom with cheap felt. 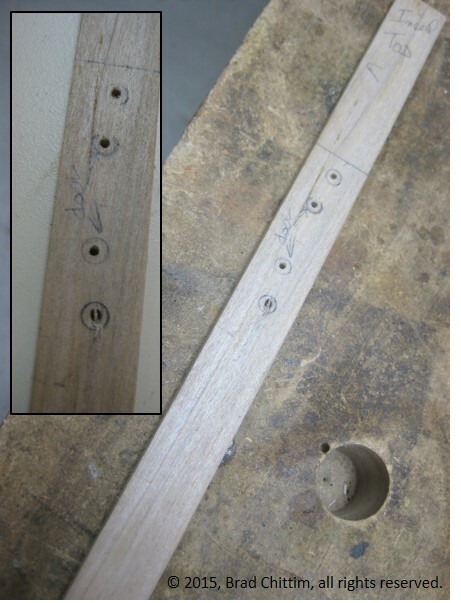 That required modifying the placement of the dowels by eliminating the ones for the bottom and adding one (for a total of two) to each of the sides. I really like the slanted sides. I think they would look cool with carved scrolling on the front/back edges, but I have no carving skills whatsoever. 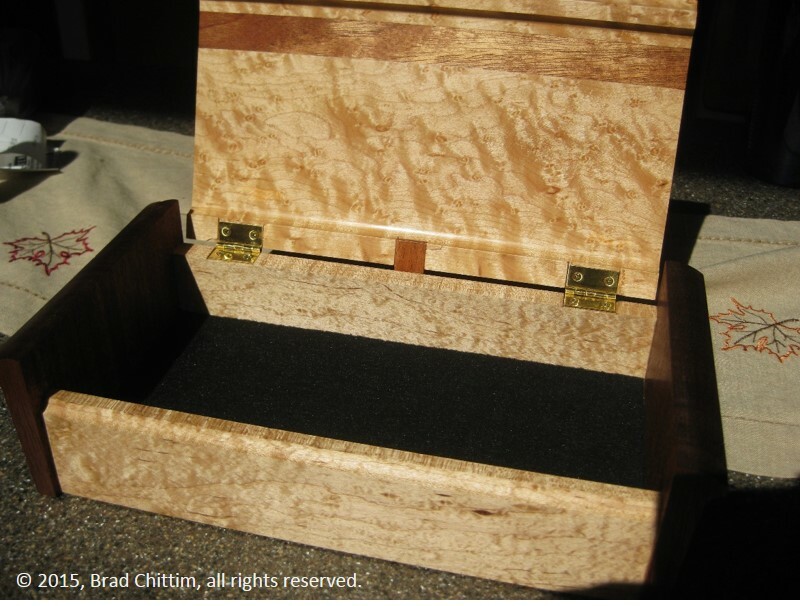 The original plans call for ebonizing them but I selected dark, contrasting, non-ebonized woods instead. 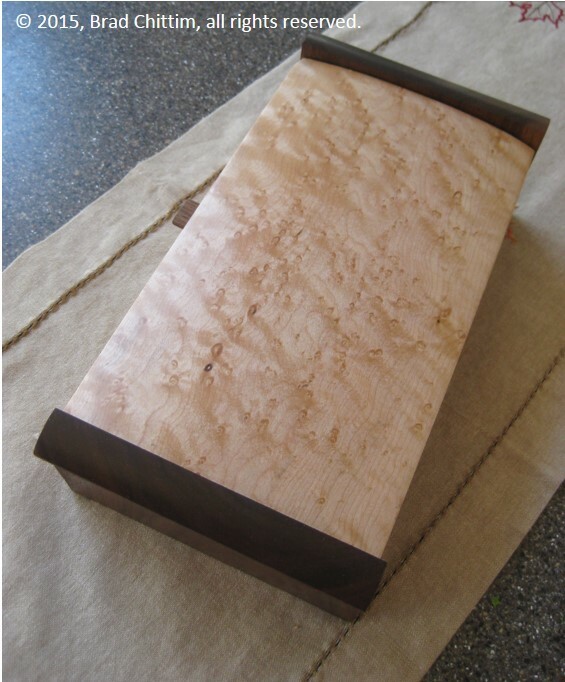 I just can’t bring myself to ebonize birds-eye maple. Box #1 has walnut sides. Box #2 is configured with mahogany sides. 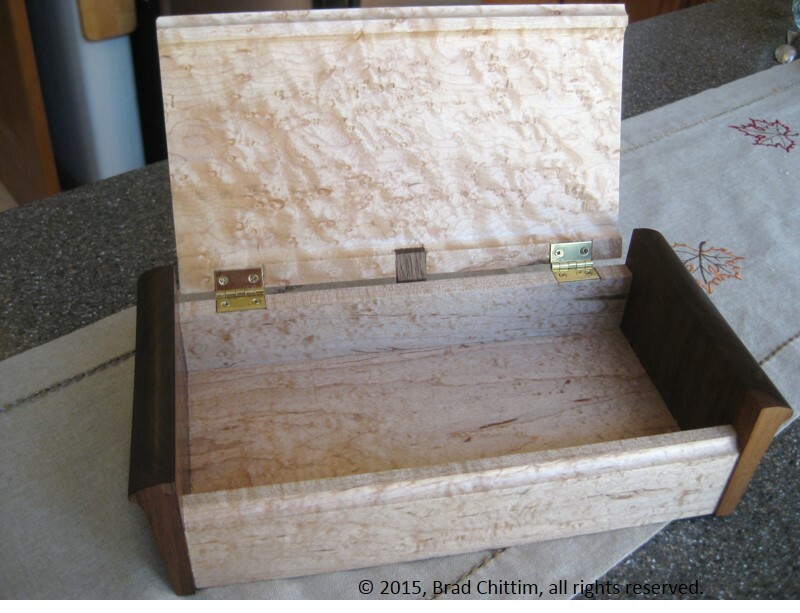 To add a decorative element to Box #2, I added a mahogany inlay strip. And here are the finished boxes in review. The project was so much fun that now I’m toying with the idea of building one more—complete with dyes and specialty hinges. I figure the cost of the dye is simply the price of learning how to work with it.